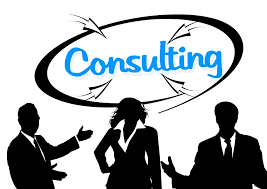 Becoming a consultant raises many questions for candidates considering management consulting careers. The life of a consultant is, indeed, out of standard, particularly in terms of the balance between private and professional life. In these circumstances, is the profession of consultant in strategy and management possible for a woman? My answer is a little indecisive: yes and no. It must be remembered that the median duration of professional experience in one of the great strategy firms, McKinsey, BCG and Bain, is of along the order of two and a half years. Therefore, the majority of consultants do not remain 10 years in these excellent firms. This typical experience of two and a half years may seem short in comparison to a more classic management position, but it’s really the standard in strategy consulting. On such a perspective of time, being a woman is strictly no problem when it comes to integrating a firm and work. In general, a consultant will have to pause his or her social life during this period, focusing on life as a consultant. For example, it would not do for a consultant to begin working at BCG in September only to request maternity leave later in the year. We can even say that a candidate in consulting will anticipate that during this phase of her professional life she should not consider taking maternity leave over the period concerned, at least during the first 2 years. In terms of resources, half of junior consultants are females. And obviously, consultancies can place neither advantage nor discrimination during recruitment regarding whether one is male or female. On the other hand, if we reason beyond the average two years or two and a half years of experience in a strategy consulting firm, the fact of being a woman becomes a factor blocking tenure progress in major consulting firms. Some consulting firms will still be able to say that efforts are being made to increase access of partnership to women. The fact remains that the typical gender of a partner for most strategy consulting firms today is a man, not a woman. Certainly, each of the three major firms has women partners. But their selection, often late, may illustrate the difficulty for women to follow the entire route leading to partnership in the firm. Bain has implemented a recruitment program aimed to boost the candidacy of female consultants. At BCG, there are several women partners. But facts are stubborn: if a woman candidate aspires to a career beyond the typical duration of 2 years, then she will need to analyze the relevance of her professional project to her personnal one. In my experience, an astoundingly successful consultant in strategy consulting must organize their lives in the long-term, which means combining family life and work. But I will not tell you stories of women who have done this successfully. These are rare. I remember a manager who had even asked to work part-time and for facilities to work from her home. The firm granted her request, but she’s the only person I’ve seen to concretely implement this type of organization. And let’s say that it’s not a real “part-time” job.